Have you recently considered investing in deck construction services? If so, then call on the professionals at Chesley Fence & Deck. 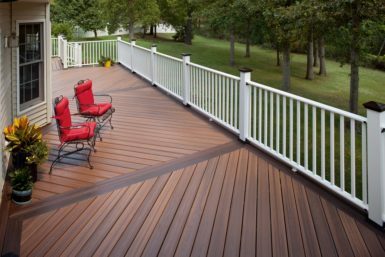 For decades, we have been the premier deck builder in the Germantown, Illinois area, offering decking of the highest caliber and installing it with care and precision to ensure years of beauty and performance. Our name is also synonymous with exceptional service, as we always go the extra mile to assist you, even helping you choose the best products to suit your lifestyle needs. 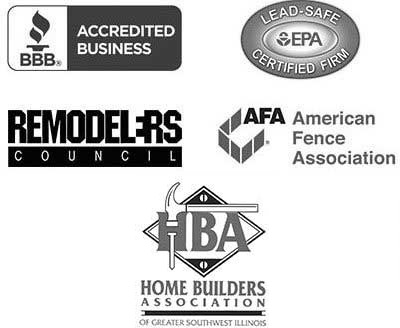 It is no wonder that we maintain an A+ rating with the Better Business Bureau. Why Choose Chesley Fence & Deck for Deck Construction Services? Contact Chesley Fence & Deck Today! If you would like to learn more about our deck construction services, or see for yourself why we are deck builder of choice, then contact Chesley Fence & Deck today. We are happy to service homeowners throughout Germantown, IL and all of Clinton County, including Beckemeyer and Carlyle. I would highly recommend your company to anyone needing a new fence.